Upgrading the identity for this nationally known chain brought with it a redesign and revamping of the store’s environment. 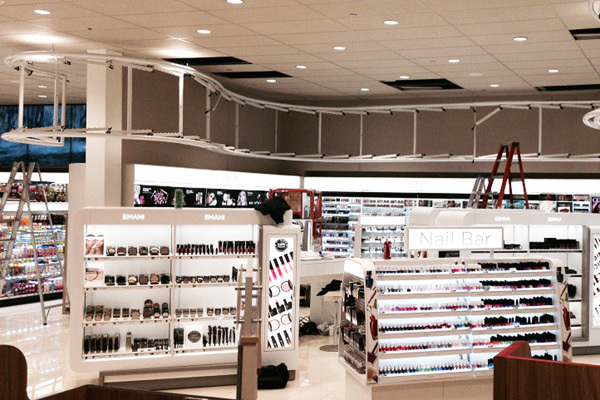 Partnering with Rite Aid, Fabric Images was brought on board for the creation of the alcove ribbon header located within the beauty department. The 81.5ft long header offers contemporary ambiance and adds a high level of class to the space. The alcove ribbon began as a conceptual design that was developed to showcase the beauty department within the new wellness-focused flagship store. 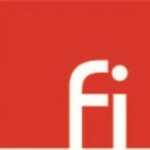 The ribbon reflects the brands innovative style. The color palette is warm and relaxing, which is consistent with the personality of the store environment. Color was a critical detail of the ribbon. Several tone variations were tested prior to final production in order to ensure that the graphic would relay the soft, feminine translucency that was envisioned. It was not only a matter of the color of the print but also how the graphic would react when backlit. Additionally, lighting the expanse of the 81.5 feet meant that the graphic could not have any seams or shadows, and the lighting had to be smooth and consistent throughout. 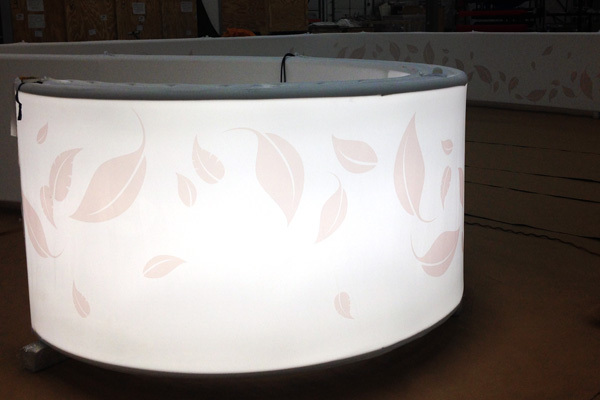 Utilizing Luminate fabric, a polyester textile with built in diffuser, allowed for a soft distribution of the strategically placed internal LED lighting. While the overall length presented some concern, the graphic was successfully printed in one seamless run via the dye sublimation print process. Just as important as the color of the graphic was the color of the light. The lighting had to enhance the natural colors for customers looking at make-up. 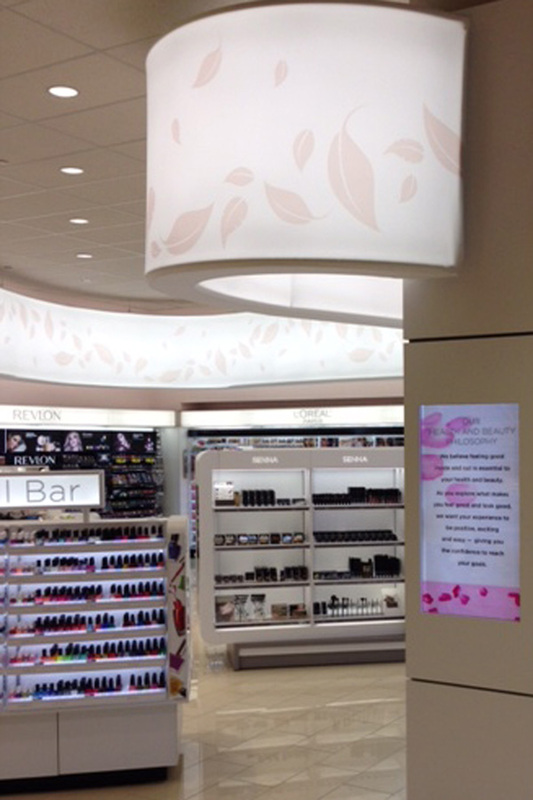 Along with this, the store environment also contained many other lighting elements, so having consistency within the Kelvin temperatures was critical. The engineering of the ribbon accounted for the attachment of internal lighting with wire management, while the structural bracing was placed strategically to deplete shadowing while remaining structurally sound. With the installation being located permanently in an earthquake prone location, safety was a priority. 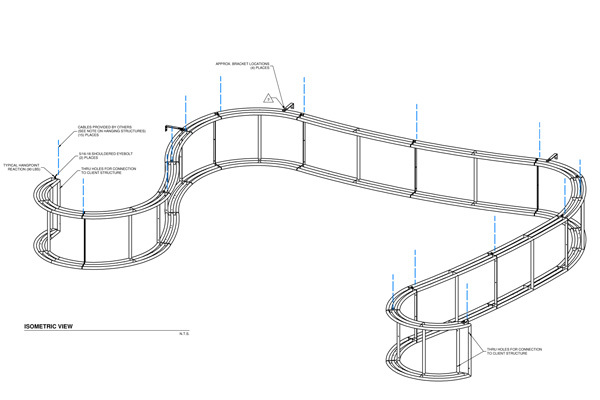 The alcove ribbon was engineer approved and stamped and met the building codes set for California. 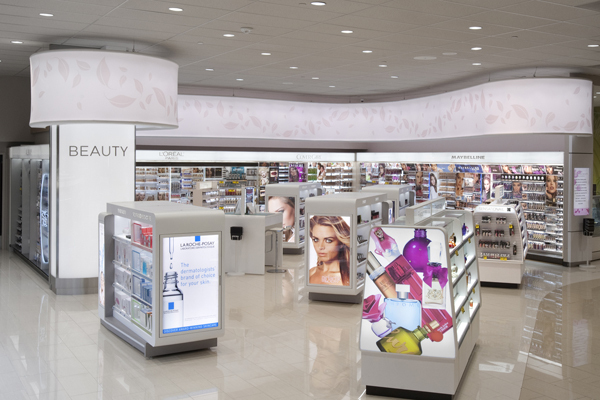 Now completed, customers who enter the store immediately notice the contemporary look and feel of the expanded beauty department that is defined by the alcove ribbon fabric structure. The successful application within the Flagship store has led to a program for the integration of alcove ribbons into additional stores throughout the country. A huge benefit of the alcove ribbon design is that it affords customization. With every store having variations in size, space configuration and ceiling height, the ribbon shape and size can be easily reconfigured during the discovery process. As part of the program, Fabric Images oversees the discovery process, including the layout of the alcove ribbon within the space. Other aspects include managing site surveys and installation and communicating with the customer, general contractor and installation partners.